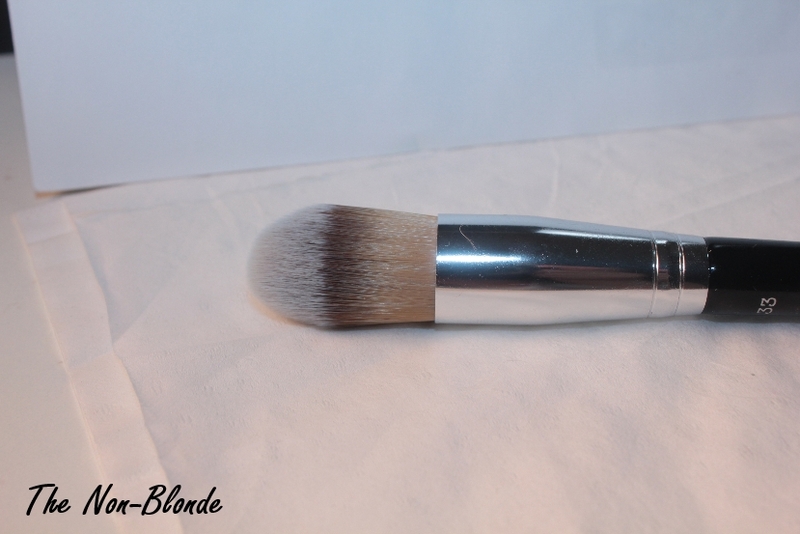 Stila #33 One Step Complexion Brush is another excellent synthetic brush for blending and buffing foundation and concealer. It's so good that I had to ignore my own rule about not buying double-ended brushes (you have to store them flat). 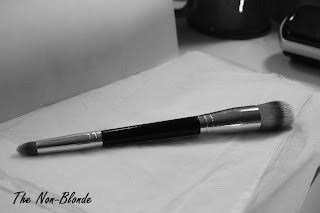 One side is an elongated domed foundation brush (not as pointy as the brilliant Cover FX 170) that works well with smaller areas that need a bit of precision (like nose and chin). 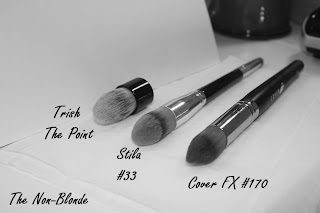 The brush has similar snap and flexibility to the Cover FX one and Trish McEvoy's The Point. The other end of this Stila brush offers a round and pointy concealer brush that's brilliant for buffing product under the eye, as well as for concealing smaller areas. 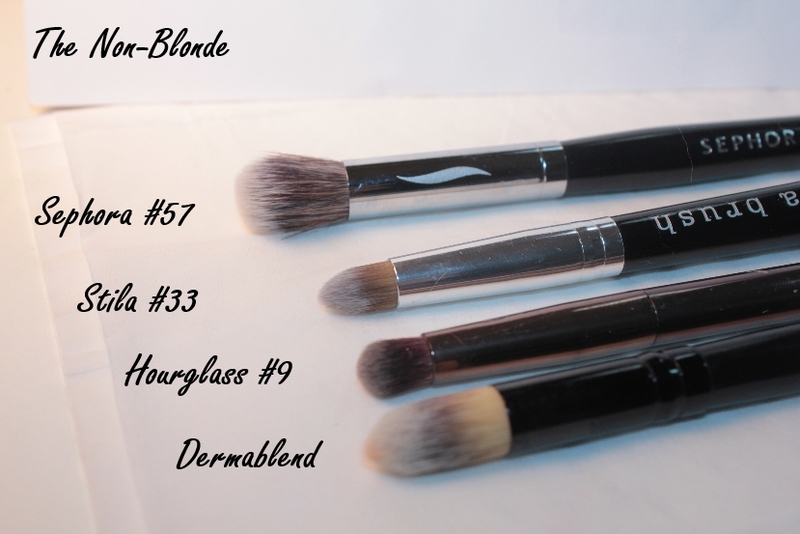 It's not a tiny pinpoint brush, but those are much easier to find (and they are interchangeable with many eyeliner brushes). 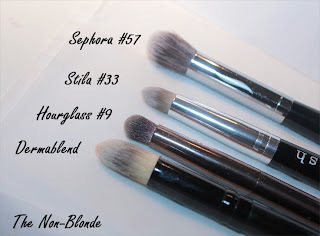 None of the concealer brushes I had until this point is a duplicate for Stila #33. 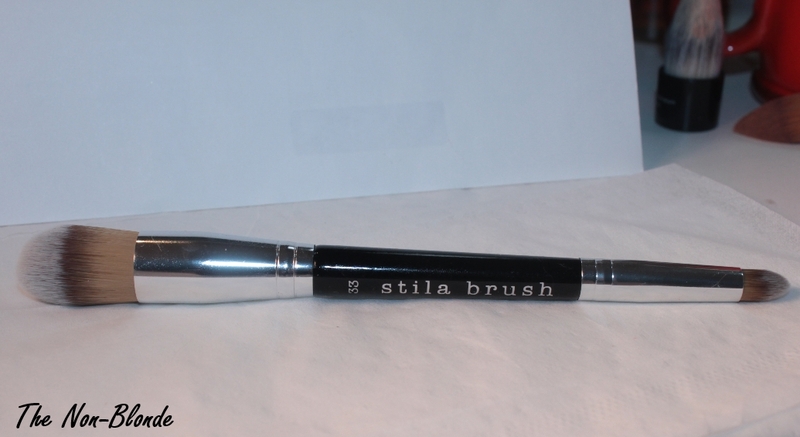 As a matter of fact, it's closer to some eye brushes (mostly domed or pencil shaped). 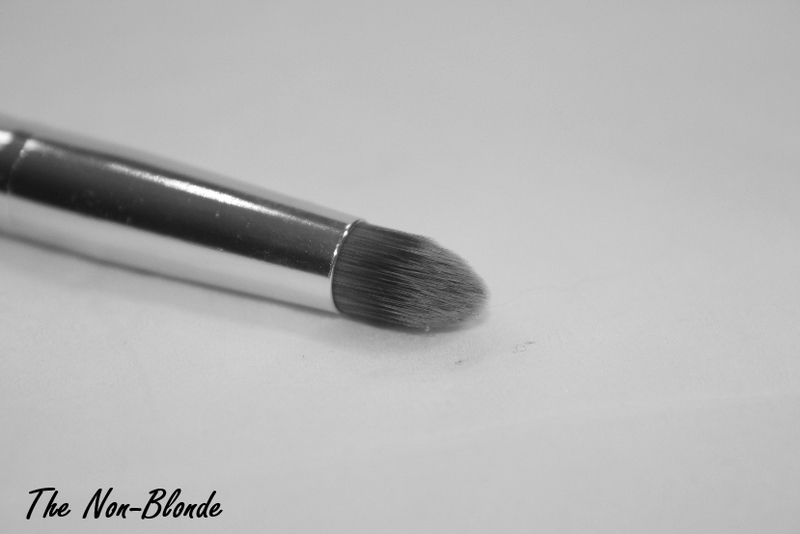 Here you can see it compared to Hourglass #9. 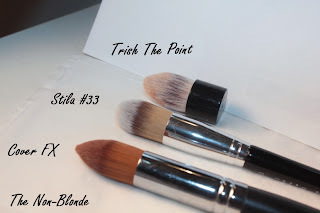 Stila #33 One Step Complexion Brush ($32) is available from Ulta, Sephora and Stilacosmetics.com.